“We will never end, we will continue looking for justice for Cambodians,” Anonymous Cambodia said in a post on its Facebook page. DAP director Soy Sopheap said the forced shutdown was highly destructive. “The damage was quite large; it almost closed our website down,” he said, adding that further security measures are now being considered. Construction on Cambodia’s $2.3 billion oil refinery has been set back again, this time due to planning delays, the project’s local partner, Cambodia Petrochemical Company (CPC), confirmed yesterday. The landmark oil refinery was slated to begin construction in December 2013 following a $1.67 billion loan from the Export-Import Bank of China (Exim Bank), but Hann Khieng, CPC co-owner, said yesterday that more detailed planning was required before the project could begin. “I believe we will be able to start groundbreaking soon, maybe in mid-November this year since the weather in the next few months will make it difficult for construction to start,” he said. The plant, which will be built on 80 hectares between Preah Sihanouk and Kampot, is now expected to be finished in late 2016. Khieng said the company will import crude oil from the Middle East, which will then be processed at the plant. He expects the plant to produce five million tonnes of oil per year for both domestic and off-shore markets. Cambodia imports more than a million tonnes of oil a year from abroad to supply local demand. Kim Natacha, executive director of Cambodia for Resource Revenue Transparency said the plant would help prepare Cambodia for its future plans for offshore oil extraction but warned that its environmental impact would need to be fully understood. A new auto-mechanics training school at the National Polytechnic Institute of Cambodia (NPI) that aims to train select Cambodian youth and support a shortage in the labour market officially commenced construction yesterday. In partnership with the Ministry of Labour, joint sponsors the Korean International Cooperation Agency and Hyundai Motor announced the $670,000 public-private intiative during a groundbreaking ceremony at the government’s training institution in Por Sen Chey district . Pich Sophoan, secretary of state at the Ministry of Labor and Vocational Training, said the new training centre will help to increase the job supply to meet industry demand in Cambodia. “Cambodia needs to match its worker training programs with its real labour market needs. And thus setting up this centre, which will work closely with the private sector, is a good move,” Sophoan said at yesterday’s ceremony. Hyundai will enlist teachers from South Korea to help support the centre, which is expected to be completed by October, the car-maker said. Bun Phearin, president of NPI, said the project will give more opportunities, especially to those who have not finished high school, a chance to study in vocational training. “After graduating from this training center, they are going to be professional workers for car garages, car assembly factories or professional self employment,” he said. Like it was yesterday, Youhorn Chea recalls being crammed into the back of a truck by people smugglers and making the dangerous 300-kilometre journey across the Cambodian border into Thailand. 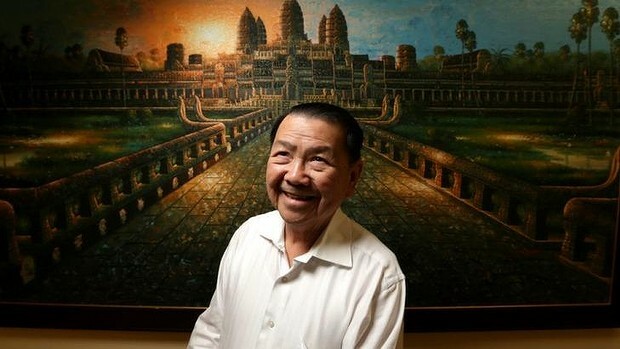 It has been more than 30 years since he fled the Khmer Rouge regime, which claimed both his parents and five of his siblings, but he still remembers every detail; navigating landmines, armed gangs swarming the jungle, soldiers indiscriminately shooting refugees in the night. After a year in a Thai refugee camp, Mr Chea eventually made it to Australia with his family. Now president of the Cambodian Association of Victoria, he has condemned the federal government's plan to resettle refugees in Cambodia, saying the south-east Asian country is still plagued by human rights atrocities. Mr Chea said news of the controversial deal was designed to scare asylum seekers from coming to Australia. Updated Mon 28 Apr 2014, Watch the video here. Nineteen-year-old Tha Seng Hak cannot get the images of her mother's gruesome death out of her head. "When I close my eyes, I see all these images of what happened to her," she said, standing beside a sugar cane field in Kampong Speu, a two-hour drive west of the Cambodian capital Phnom Penh. "Her arm and leg were detached." Just six weeks ago, Ms Hak was working with her mother in the sugar can fields, which are owned by Phnom Penh Sugar. The company is owned by ruling party senator Ly Yong Phat, who, with the help of a loan from ANZ Bank, has transformed this area into the largest sugar operation in Cambodia. But the development has come at a cost to the local people, and none have paid a heavier price than Ms Hak's family. After being forced to leave the land they occupied to make way for the company's sugar plantation, Ms Hak says her mother, Hol Mom, was left with no option but to accept a job working in the fields for Phnom Penh Sugar. Six weeks ago, with her daughter just metres away, Ms Mom was run over and killed by a sugar harvester while she slept in the fields during a work stoppage. "When they reversed a little bit the driver thought something was stuck in the machine, and when one of them tried to look inside the machine he saw arms and legs stuck inside it," she said. She says she then told her supervisor to conduct a head count and went looking for her mother. "I ran back and saw my mother's scarf and then I fell down. I saw that my mother's arm and leg was inside the machine," she said. "My mother was a big woman when these things happened to her, her whole body was in small plastic bags, not even 20 kilograms." Kong Sothanarith, Suy Heimkhemra, VOA Khmer. 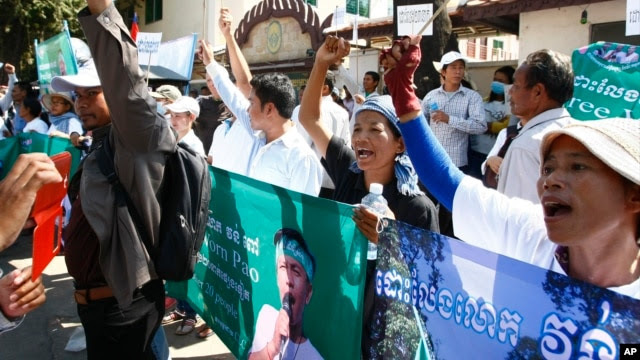 Protesters raise clenched fists with banners printed with detained activist Vorn Pao in front of the Appeals Court during a rally in Phnom Penh, file photo. A senior UN rights official on Tuesday urged Cambodia to conduct a proper investigation into violence that has taken place since the July 2013 elections, as well as to speed up land titles for indigenous groups. Flavia Pansieri, UN Deputy High Commissioner for Human Rights, is on a five-day visit to Cambodia, looking into post-election violence that has killed at least seven people and left 23 activists facing charges of incitement. "Cambodia should pursue any violation through the rule of law and its commitments to international human rights standards," she said. Pansieri also spoke at a land-titling workshop, where she urged Cambodia to protect land rights for the indigenous. "At least 15 languages are spoken in Cambodia today, highlighting the myriad cultures the country must protect," she said. “Land concessions are receiving more priority over communal land titles,” she said, estimating that 22 percent of the country’s land surface was taken up by concessions. Please see below and attached both in Khmer and English an open letter from the Cambodian Center for Human Rights ("CCHR") expressing its serious concerns regarding certain provisions of the draft Cybercrime Law, a copy of which CCHR obtained after it was leaked to the public in early April 2014, and the Royal Government of Cambodia’s (the “RGC”) refusal to publicly release an official copy. This open letter was sent to the Ministry of Post and Telecommunication, and copied to Samdech Akeak Moha Sena Padey Decho Hun Sen, Prime Minister of the Kingdom of Cambodia; H.E. Sar Kheng, Deputy Prime Minister, Minister of the Ministry of Interior; and H.E. Ang Vong Vathana, Minister of Justice, on 28 April 2014. If you should require any further information or wish to discuss this topic, please contact CCHR at this e-mail address or CCHR Freedom of Expression Project Coordinator Ramana Sorn via telephone at +855 (0) 17 655 591 or e-mail at ramanasorn@cchrcambodia.org. The Cambodian Center for Human Rights (“CCHR”) is writing to express its serious concerns regarding certain provisions of the draft Cybercrime Law, a copy of which CCHR obtained after it was leaked to the public in early April 2014, and the Royal Government of Cambodia’s (the “RGC”) refusal to publicly release an official copy. CCHR is concerned about a number of provisions in the draft Cybercrime Law, especially Article 28, which prohibits publications on a number of vaguely defined grounds and provides for heavy prison sentences and fines. Some of the most problematic provisions seek to prohibit content deemed to "generate insecurity, instability and political cohesiveness," content deemed to "be non-factual which slanders or undermined the integrity of any governmental agencies," and content "deemed damaging to the moral and cultural values of the society," including "manipulation, defamation, and slanders." These provisions are unreasonably vague and give excessive liberty to the RGC to determine which content is harmful, a dangerous strategy already in practice with the Cambodian Criminal Code 2009. Instead, the draft Cybercrime Law should clearly and explicitly state the extent of restrictions: content that is going to be deemed ”illegal” must be narrowly and unambiguously defined so as to avoid the possibility of abusive judicial interpretation and any content restriction must be exceptional and absolutely necessary. Furthermore, CCHR is concerned that Article 28 (4), which prohibits content “undermining the integrity of any governmental agencies,” is clearly written to provide the RGC with a weapon to silence activists and organizations that speak out against RGC policies and actions. With this provision, the Cybercrime Law could hinder the ability of civil society to monitor the RGC’s activities – a crucial role in an emerging democracy – as well as serve to silence any political opposition. Moreover, Article 35 includes “dissolution” as an accessory penalty for legal entities – which would include civil society organizations such as CCHR – that commit offenses under Articles 21 to 32 and places an improper restriction on freedom of expression. Finally, the proposed composition of the National Anti-Cybercrime Committee (the “NACC”), as outlined in Article 6 of the draft Cybercrime Law, is problematic. The inclusion of predominantly high-ranking members of the RGC in the NACC will not lead to the creation of an independent review institution for internet usage. Instead, the Cybercrime Law should legislate the establishment of an independent working group made up of (inter alia) technical experts, members of civil society organizations and academics to properly investigate and analyze website content prior to prosecution or blocking requests and before requests are forwarded to the judiciary. Today, ahead of the celebration of International Labor Day and the start of the council election campaign period, the Cambodian Center for Human Rights (“CCHR”) strongly condemns the reiteration of the ban on assemblies in Phnom Penh and urges security forces to refrain from using excessive violence against protesters. On 29 April 2014, an announcement by Phnom Penh Governor Par Socheat Vong, was published on the website of Phnom Penh Municipality, banning all public assemblies starting 1 May 2014. Following the announcement, letters were sent on 30 April 2014 to union associations and the Cambodian National Rescue Party, stating they could not hold public assemblies on Labor Day and between 2 May 2014 and 16 May 2014, the council elections campaign period. The right to freedom of assembly has been on hold in the Kingdom of Cambodia (“Cambodia”) since 4 January 2014. The ban is unlawful, seriously disproportionate and excessively broad and is in clear violation of international and domestic provisions protecting the right to freedom of assembly, including the Constitution of the Kingdom of Cambodia. CCHR calls on the international community to strongly urge the Royal Government of Cambodia (the “RGC”) to immediately restore the right to freedom of assembly and to ensure free and fair elections by allowing all parties to campaign fairly. In addition, the Municipal Hall’s public announcement mentions that 500 police and military police personnel have been deployed in each district of Phnom Penh to implement the ban during the campaign period. Considering the repeated use of excessive force by Cambodian security forces, which have already led to the death of at least four people since the beginning of 2014, CCHR urges security forces to exercise restraint and avoid violence. Please also find the Press Release attached in PDF format in English, the Khmer version will follow shortly. I cycle to work every morning, enjoying the relative cool of low 30s before it inevitably hits 40 plus degrees in a couple of hours. I pass a family of five, all jammed onto a motorbike and they stare impassively at me. I smile and wave at the kids and I’m rewarded with big toothy grins and a shouted “hello!” and a shy smile from their mother. The best way to get around. Read the full article and see more pictures here. Cambodia has agreed "in principle" to resettle asylum seekers bound for Australia, after weeks of speculation as to whether the controversial deal would go ahead. On Tuesday night, Cambodia's Secretary of State at the Foreign Affairs Ministry said the decision for the south east Asian country to resettle asylum seekers had been made. "In principle, the government has agreed ... and we will do the work according to international standards," said Ouch Borith, Secretary of State at the Foreign Affairs Ministry. Mr Borith met with a representative of the United Nations on Tuesday in Phnom Penh. Human rights groups have condemned the Abbott government for seeking an agreement to send asylum seekers to Cambodia, one of South-East Asia's poorest countries, which has one of the worst human rights records in Asia. The country is dependent on hundreds of millions of dollars a foreign aid, with Australia sending $US244 million to Phnom Penh over the past three years. “Cambodia is a country that has its own set of difficulties, including economically,” Volker Turk, the UNHCR’s director of international protection,” said on Tuesday. “I don’t want to speculate. The government has not contacted us on this . . . it’s not just about safety, it’s about fundamental human rights.” he said. Mr Morrison has not publicly revealed details of the agreement. 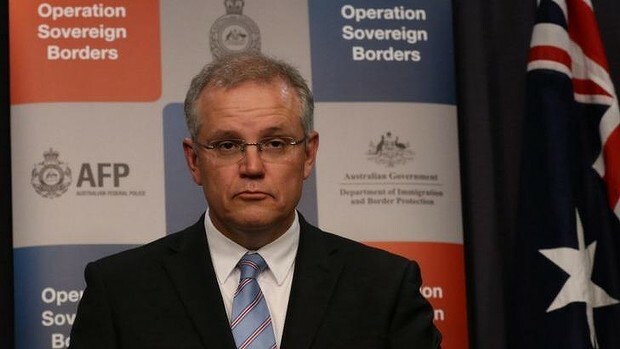 But he said in a television interview on April 10 it would involve asylum seekers currently detained on the tiny South Pacific nation of Nauru. Phil Robertson, deputy director of Human Rights Watch’s Asia division, said Cambodia’s capacity to take care of asylum seekers or refugees is low and Australia is shirking its international obligations. “Uighurs from China or human rights activists from Vietnam can explain about Cambodia’s shoddy record towards refugees,” he said. The UN Deputy High Commissioner for Human Rights Flavia Pansieri, who is visiting Cambodia said the United Nations would provide support. "What we think is important is to note that Cambodia is well aware of its international commitment to human rights standards," Ms Pansieri said. "To the extent there is any need for cooperation, we stand ready to provide support to ensure that standards are met." The announcement comes as the 1177 asylum seekers in Nauru were told they would be given a temporary five-year visa on the island and would be given work rights for the same amount of time, but would not be permanently resettled there. (Reuters) - It took just one word to fire up the mob that beat Tran Van Chien to death after a minor road accident in the Cambodian capital, Phnom Penh. The 30-year-old carpenter was standing among onlookers on Feb. 16 when someone shouted "yuon," a term widely seen as derogatory to the hundreds of thousands of ethnic Vietnamese who call Cambodia home. Seconds later, the crowd turned on Tran Van Chien. "There were so many people I couldn't help," recalled his sister, Tran Yaing Chang, shuffling through photos of his funeral. "He was killed instantly." Cambodians have long borne a grudge against the Vietnamese. For centuries Cambodia was caught between more powerful Thai and Vietnamese kingdoms and for generations, many Cambodians have believed Vietnam wants to take over their land. At various times, Cambodian politicians have found it useful to play up that fear. In late 1978, Vietnamese forces invaded to overthrow the Khmer Rouge who vilified Vietnam and launched cross-border raids. Vietnam occupied Cambodia for the next 11 years. Recently, the resurgent opposition Cambodia National Rescue Party (CNRP) has stoked anti-Vietnamese sentiment, seeking to capitalise on long-ruling Prime Minister Hun Sen's association with Vietnam. 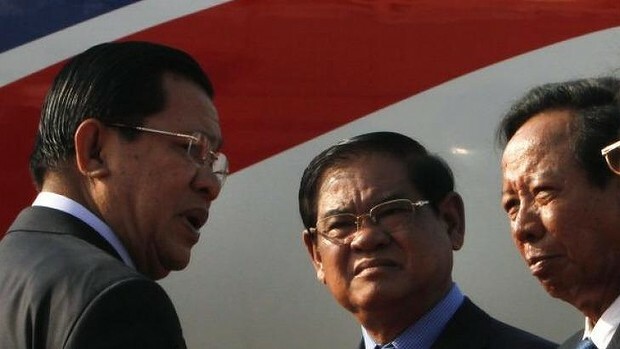 Hun Sen first came to power in a government installed by the invading Vietnamese and his enemies have long played that up in a bid to undermine his legitimacy. The opposition tried to exploit the distrust of Vietnam in an election last year some observers called racist, with party leader Sam Rainsy routinely using the term "yuon", an old word for Vietnamese that many find offensive, to refer to Vietnamese. PHNOM PENH (The Cambodia Herald) – Three gangsters were arrested after they committed violence against three journalists during their coverage of a suicide case in Psar Thmey II commune of Daun Penh district. 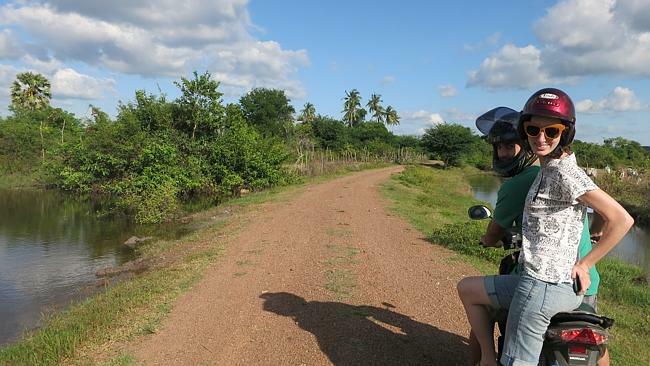 The journalists from Bayon, Hang Meas and Apsara television stations and online website CEN (Cambodia Express News) rode their motorcycles home after reporting suicide case, but they were blocked and beaten by the gangsters. One of the journalists from Bayon television station suffered injuries in his hand, back and head after he was attacked by the gangsters. CEN reporter said that he and the other two reporters were not injured in the attack after they phoned the local police for intervention. Police said that the three people attacking the reporters were identified as 21-year-old Tang Sinvay, 19-year-old Sreng Rattanak and 19-year-old Duong Sarith. Opposition lawmaker-elect Lim Kim-Ya filed charges with Phnom Penh Municipal Court yesterday morning against a government official he claims led an attack on a peaceful crowd at Freedom Park last Monday. Ket Khy, a Cambodia National Rescue Party lawyer, told the Post that Kim-Ya was seeking financial compensation for the attack, which he claims was ordered by Daun Penh District Deputy Governor Sok Penh Vuth. Kim-Ya was struck around the face during the violence. If the court proceeds with the case, the requested charges of intentional violence under aggravating circumstances could carry a maximum sentence of five years in prison. Four other alleged victims also met with Khy yesterday and are preparing to file their own complaints in the next couple of days, he said. Penh Vuth could not be reached for comment. Kim-Ya was at the scene in support of fellow CNRP member Mu Sochua, who has been on a campaign to enter the park, which remains off limits to protesters, since the beginning of the month. Sochua, who had vowed to file her own charges, said yesterday that she is “waiting for authorisation from senior members” of the CNRP. After first discussing the situation with Khy, Sochua met with European Union Ambassador Jean-Francois Cautain.